Following the path already well trodden by terms such as “flexible delivery”, “e-learning”, and “student centred education”, MOOCs are the new key term in a line of jargon apparently designed striking fear into the heart of every tech wary educator. I have a bit of a sensitivity to corporate guff in the education sector, as elsewhere. I tentatively feel/hope that we have seen that awful term “gamification” reach its high water mark in the education banter to now recede into laughable obscurity. 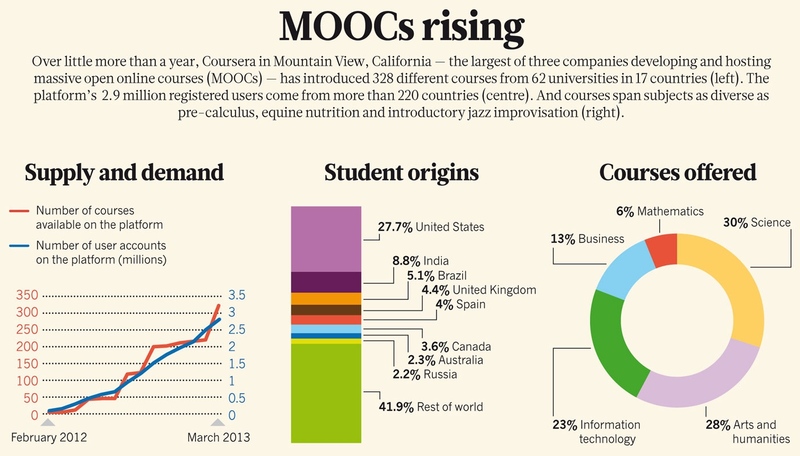 But I’m wondering if MOOCs are more of this nonsense or if they genuinely offer something useful and different. The ABC’s Future Tense has taken up the subject.